Photo: Bundesarchiv, Bild 104-0937A / CC-BY-SA 3.0. 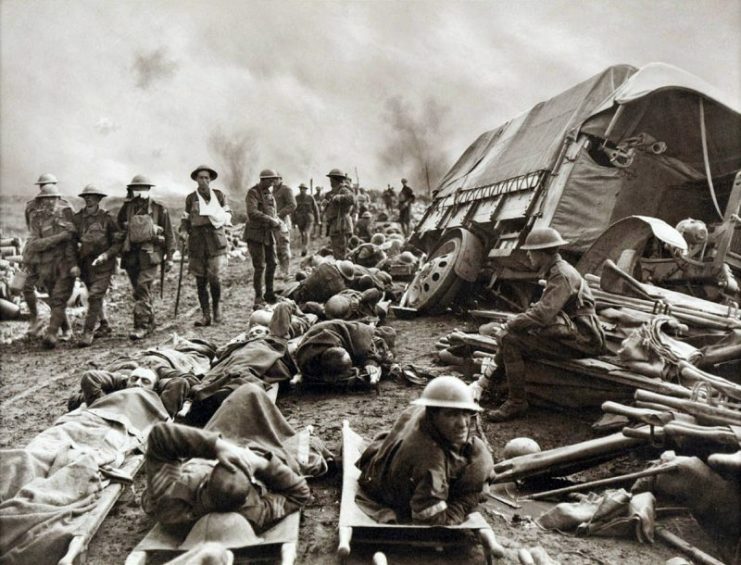 Eight British soldiers, known as the Fray Bentos Boys, spent three days and two nights during World War I in possibly the worst place they could have been. The crew found their tank stuck in no man’s land between the Germans and their own forces. They endured machine gun fire, snipers, grenades and artillery fire from the Germans. To top it off, they came under fire from their own military. The year was 1917 and tank warfare was still in its infancy. 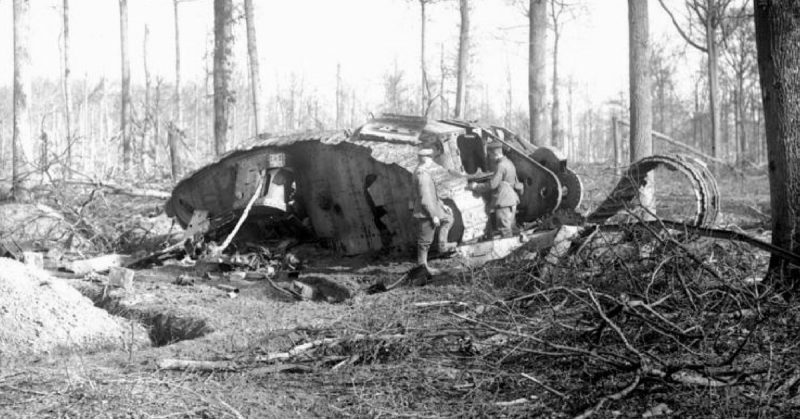 The British could not risk allowing the Germans to get ahold of one of their tanks and were willing to sacrifice the crew to make sure it did not happen. Miraculously, eight of the nine crew members survived those terrifying three days, managing to crawl back to the British lines, one at a time. All eight were given medals for gallantry which made them the most decorated tank crew of the war. British Mark IV during an advance. The crew named their Mark IV tank Fray Bentos after the tinned meat. Their captain was a grocer who was licensed to sell the product before the war. 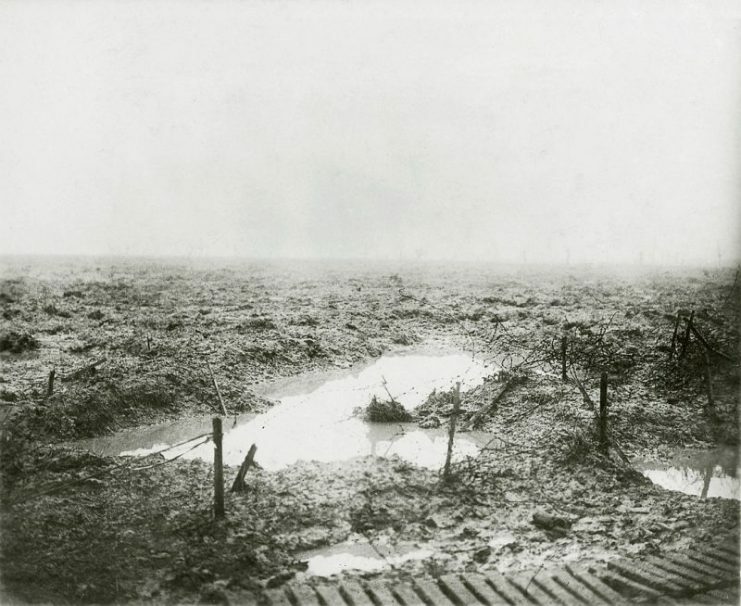 The tank got stuck in a bomb crater during the Battle of Passchendaele. Historians uncovered the written account of the ordeal in the archives of the UK’s Tank Museum in Bovington, Dorset. Along with Sergeant Robert Missen’s journal, the museum is displaying his uniform and his Bible among other personal effects. The other crew members were Captain Donald Richardson, Second Lieutenant George Hill, Gunners William Morrey, Ernest Hayton, Frederick Arthurs, Percy Budd, James Binley, and Ernest Brady. The Fray Bentos entered the crater sideways, throwing the driver out of his seat. Richardson took over but could not stop the tank from sinking into the soft mud of the crater. According to Missen’s account, Budd and Morrey were injured at the same time with Budd remaining unconscious for two hours. Hill was also injured at about that time, getting hit in both the head and the neck. Missen exited the tank to work on getting it back on solid ground. He heard bullets hitting the tank and saw enemy troops just 30 yards away so he got back in the tank. Brady had gotten out on the other side to help but was shot. He fell under the tank as it was sinking and was presumed dead. The crew returned fire on the enemy, killing several that were close to the tank. The whole time, they expected the enemy infantry to arrive in force at any moment. For the next sixty hours, the Germans tried to approach the tank but were repelled every time. Because of the angle the tank was leaning at, the tank’s guns were useless and the crew had to use their personal weapons to fight off the attacking soldiers. At one point, a German soldier made it onto the tank and dropped a grenade inside. The British soldiers managed to throw it back out before it blew up. Seven of the eight survivors were wounded, mostly from flying pieces of metal during the attacks. The Mark IV tank was an improvement over the earlier Mark II vehicles. 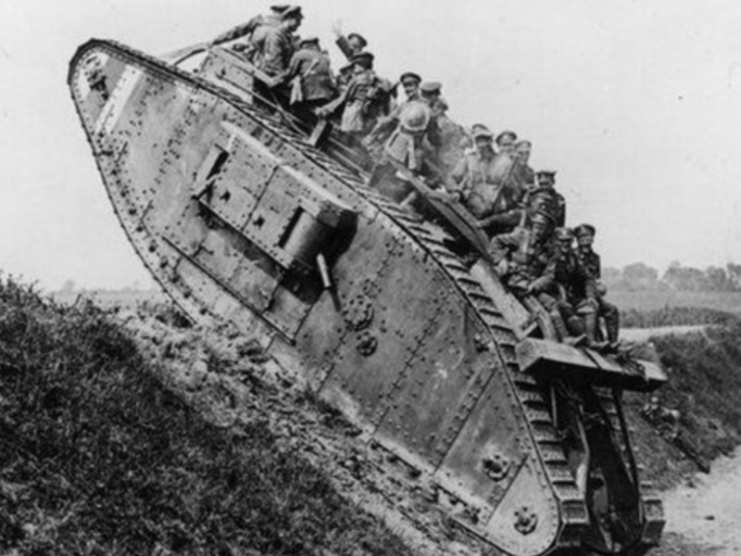 The Mark II tanks offered little protection to their crews during the early battles of World War I. The new Mark IVs doubled the armor thickness while increasing their speed and range. The team crawled, one by one, back to the British lines. They carried the Lewis guns with them to make sure they did not end up in the Germans’ possession. Brady’s body was never recovered. Budd died a year after the Fray Bentos ordeal. He was 22 years old. Richardson went on to fight in the Battle of Cambrai in a tanked they named the Fray Bentos II. The Germans captured that tank and put in on display in Berlin.